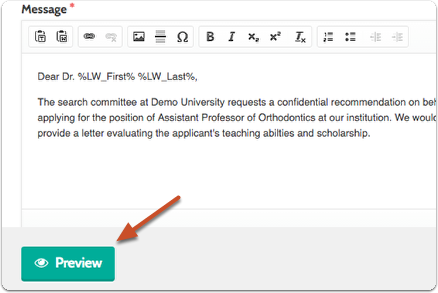 When requesting letters of recommendation from multiple letter writers, you can set Interfolio to automatically personalize the message sent to each recommender. 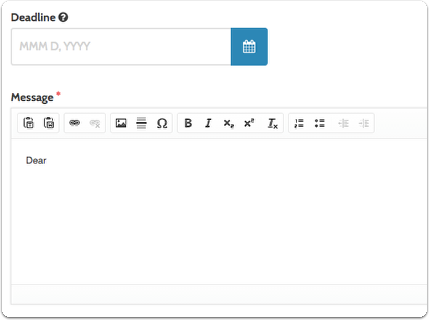 It is quite easy to set this up, and only requires that you cut and paste a couple lines of text into the salutation of your message. 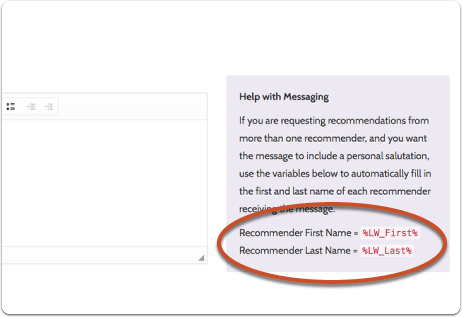 We have provided variables for first and last name. You can use one or the other, or both if necessary. Don't forget to add a comma at the end. 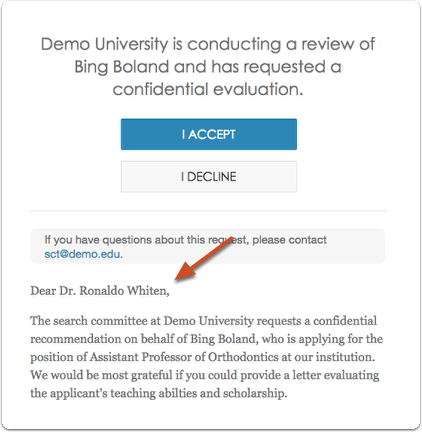 You may want to include the title if you know all of your letter writers will share a title such as "Dr." or "Prof."
Note the writer's name in place of the variables you added.